(SPOT.ph) Despite being oceans apart, Brazil actually has a lot in common with the Philippines. Both cultures share a love for lively music, spending time with a family that extends beyond blood, and good food made in servings large enough for sharing. 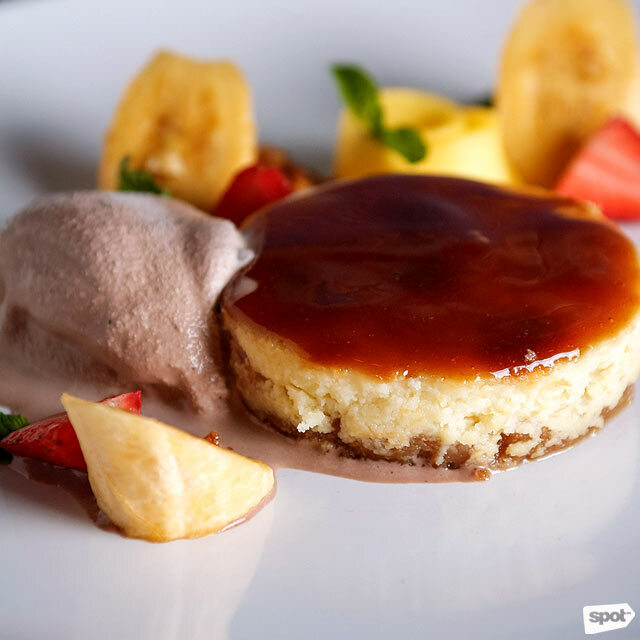 These similarities are what pushed Chef Jaques Borges to open a Brazilian restaurant in Makati: Boteco Brasil. Boteco Brasil is the brainchild of Chef Jaque together with eight other friends, three of them Brazilian and the rest Filipino. After four years here in the Philippines, Chef Jaque considered the country her second home, but she still found herself missing her birthplace. Thus came the idea to bring a piece of Brazil to the country. 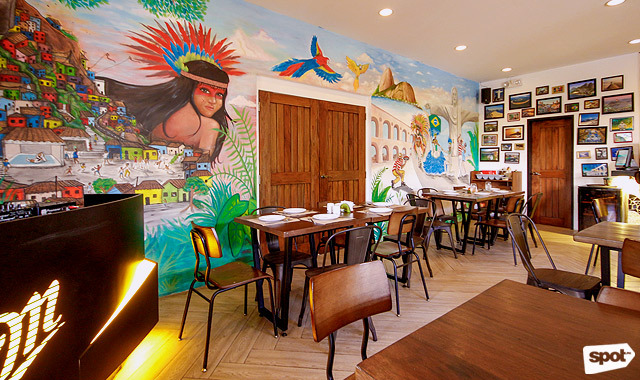 The restaurant is a showcase of the team’s favorite parts of Brazil. The colorful mural depicts the famous Christ the Redeemer statue with folk dances, traditional clothing, and local fauna and foliage. Furniture and other décor were imported straight from Copacabana. A television behind the bar broadcasts Brazilian singers. 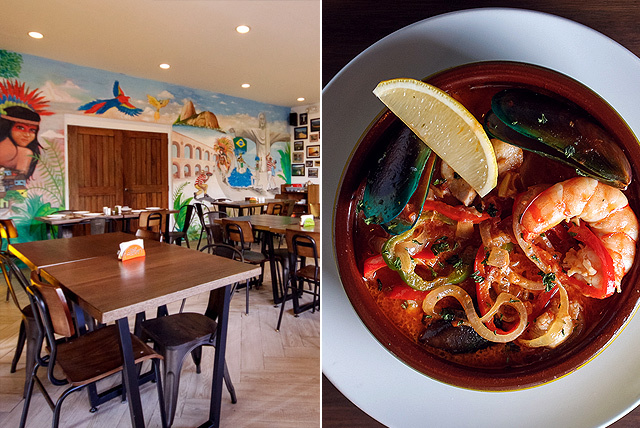 The food includes family recipes from home, and with the Brazilian owners hailing from all over the country, this means an incredibly diverse menu. Brazilian food is a mix of European, African, and American influences. 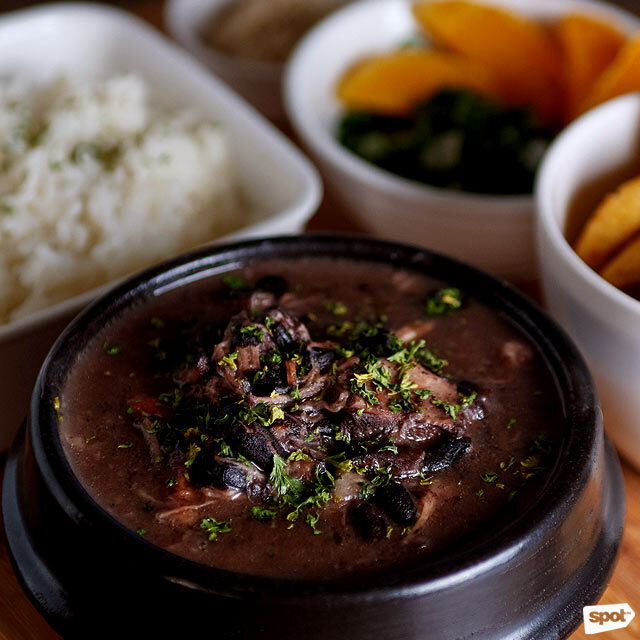 This, plus the country’s sheer size, results in a cuisine as varied as its multiple traditions—a diversity reflected in Boteco Brasil’s menu. 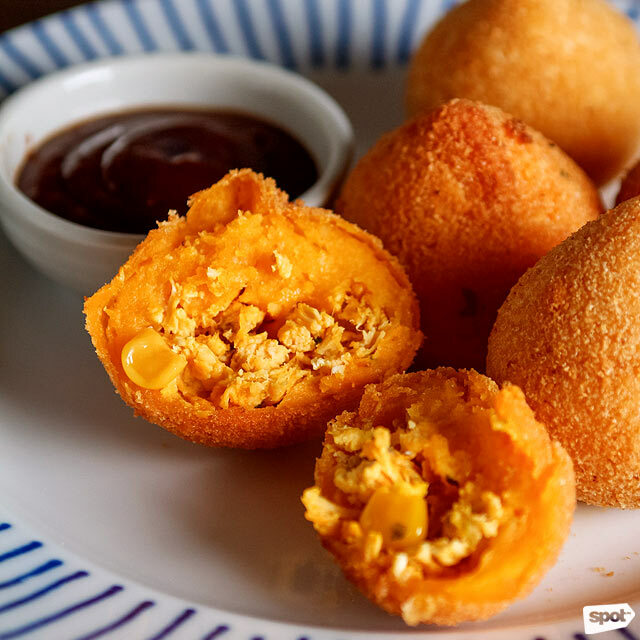 A good place to start is with the Coxinha Com Catupiry (P299), or golden fried dough stuffed with shredded chicken and catupiry or Brazilian cream cheese. Cheese and chicken are always winners in our books, as well as anything covered in bread crumbs and deep-fried—so what more something that combines all three? 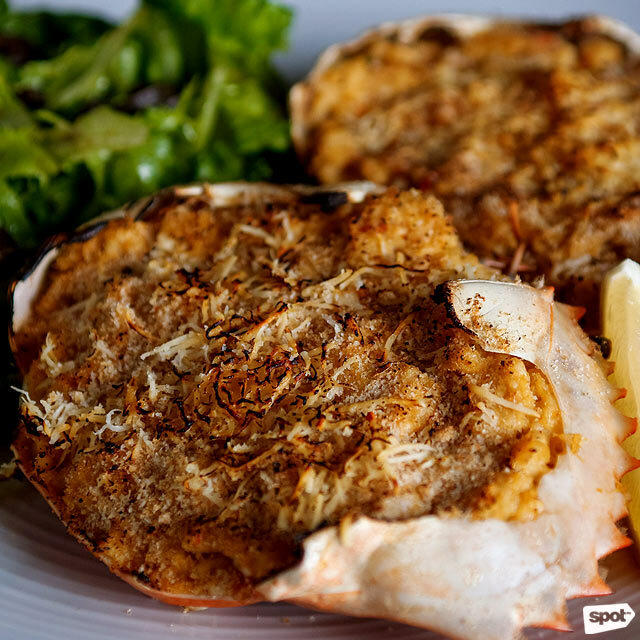 The Casquinha De Siri (P499), a traditional recipe from the coastal area north of Brazil, has sautéed crab meat stuffed in crab shells. The fresh crab shines through even when mixed with the equally tasty blend of coconut milk, tomatoes, parmesan cheese, and bread crumbs. With more than one crab on the plate, this is made for sharing. 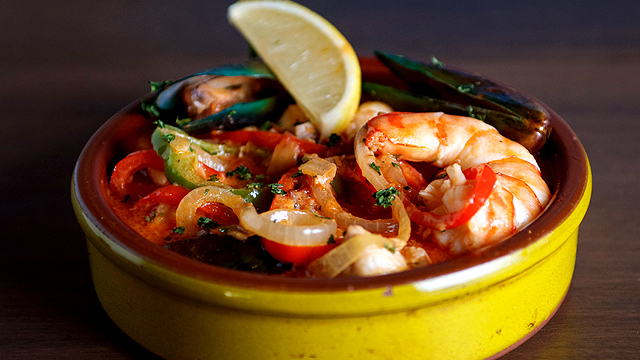 The Mariscos (P569) is equally tasty and fresh, with a mix of seafood stewed in a thick tomato-based sauce with onions and bell peppers. No Brazilian menu is complete without churrasco or the traditional barbecue, and Boteco Brasil actually has a eat-all-you-can promo every weekend. 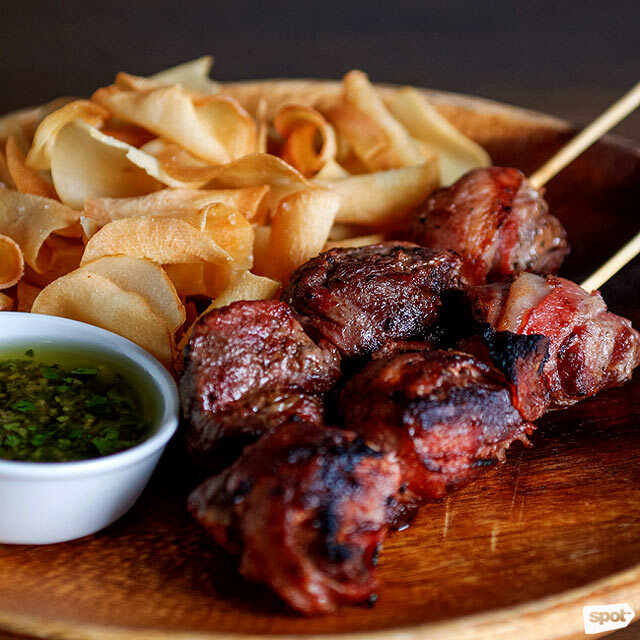 The churrasco is served in the traditional rodizio style, with the staff going around holding large skewers, slicing meat directly onto your plate. If you need some barbecue to tide you over till then, there’s the Churrasquino (P499/Carne or beef, P389/Porco or pork, P349/Frango or chicken). The skewers are incredibly juicy and flavorful even without the side of chimichurri. With barbecue as delicious as this, we’re definitely coming back on weekends for the churrasco buffet. The Fejioada (P529) is Brazilian comfort food. 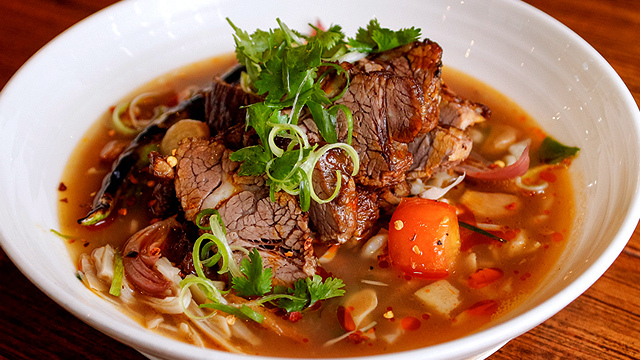 Co-owner Fabio Ide shares that his grandmother used to make him this meal, and it’s one the things he misses from his hometown. Boteco Brasil’s version is a faithful reproduction, with a dark stew of beans, pork, bacon, and calabresa (a kind of sausage), served with Brazilian rice, kale, and farofa (toasted cassava powder mixed with flour), together with sides of fried bananas, fried cassava fries, and orange slices. The technique is to pile the stew together with the kale on top of rice, then sprinkle a little of the farofa on top before getting everything in one big spoonful. A few bites of the meal is already incredibly filling. But we don’t recommend stuffing yourself, especially with dessert still to be had. The Romeo e Julieta (P279) is a burst of color on a plate with its garnish of fresh sliced pineapples and strawberries. Like Romeo and Juliet, there is perfect chemistry between the saccharine guava cheesecake and the butter pecan Bailey’s ice cream that retains a hint of liquor flavor. Of course, no proper boteco is complete without a comprehensive drink selection. 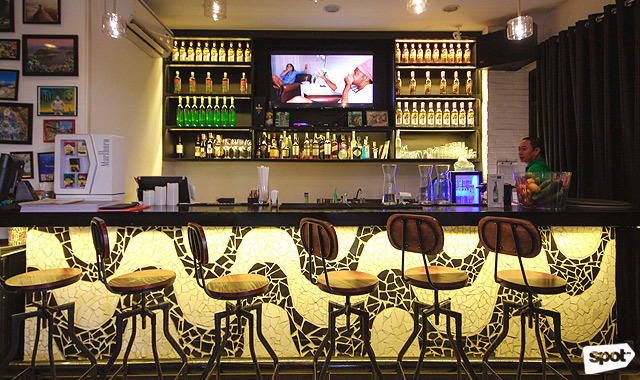 Aside from an extensive list of imported and local beers and other hard drinks, They also offer Caipirinhas (P165 to P190) or cocktails made with cachaça (sugar cane liquor). 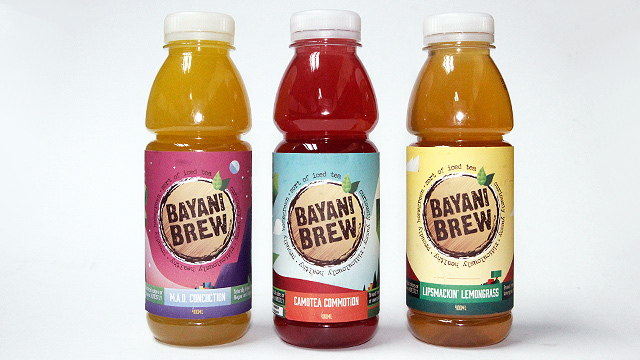 They come in fruity flavors like lime, lemon, strawberry, and mango. Don’t let the sweetness fool you because this drink packs quite a punch. 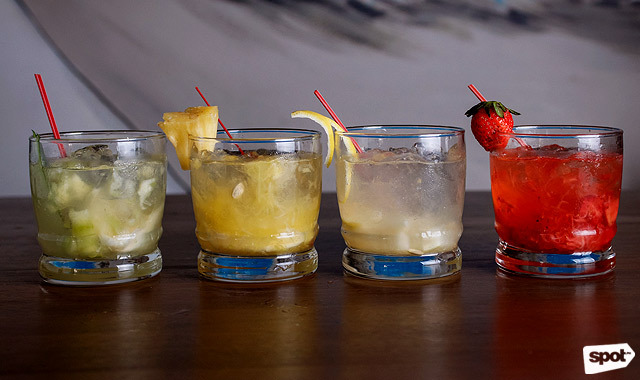 If you think you can hold your alcohol, Boteco Brasil offers buy-one-take-one caipirinhas on select flavors (only from 4 p.m. to 8 p.m.). 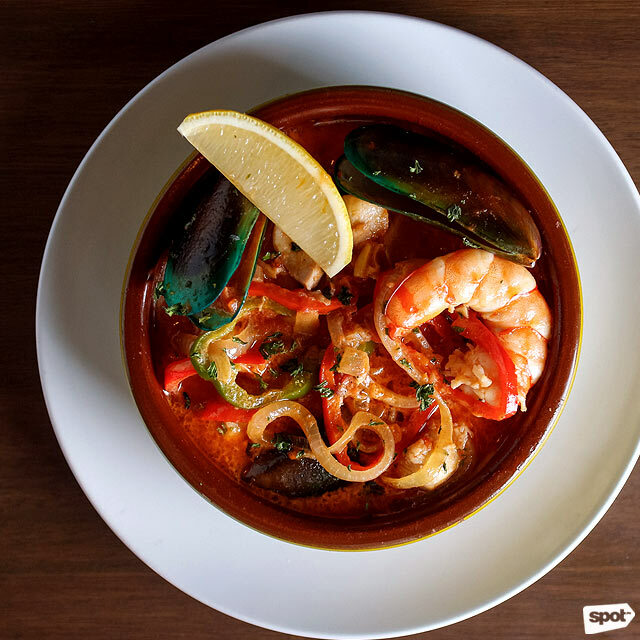 Boteco Brasil comes alive after the sun sets, and with their lively Brazilian cuisine, this place is perfect if you want a new dining experience for your next night out.